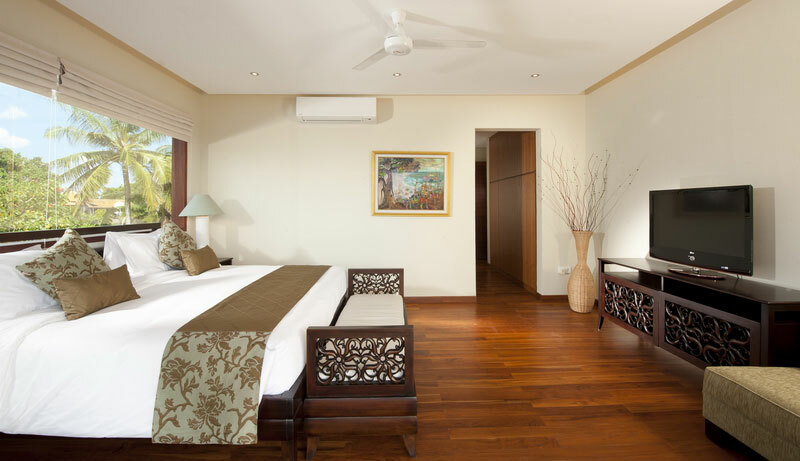 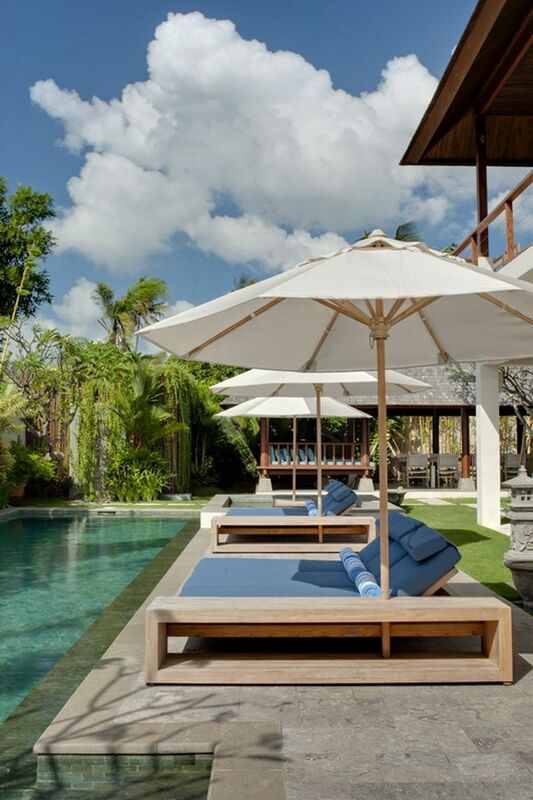 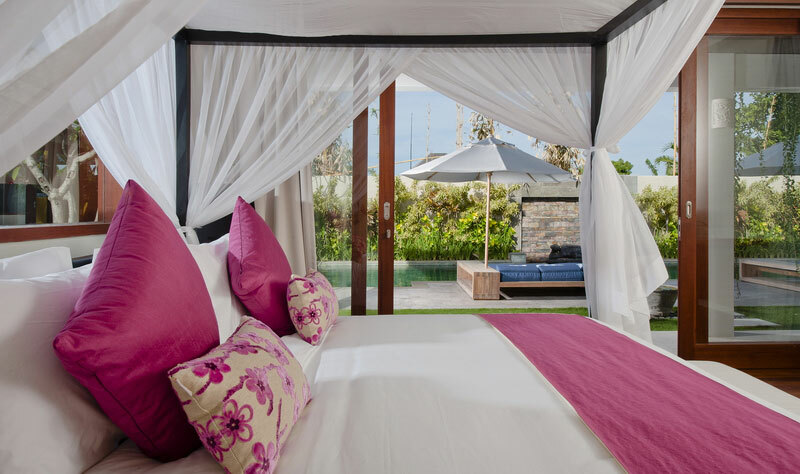 Villa Joss has such an ideal situation, only 100 meters from the beach of Batu Belig in the main area of Seminyak, it is also 30 minutes from the airport and just minutes away from the attractive restaurants, shops and clubs of the area. 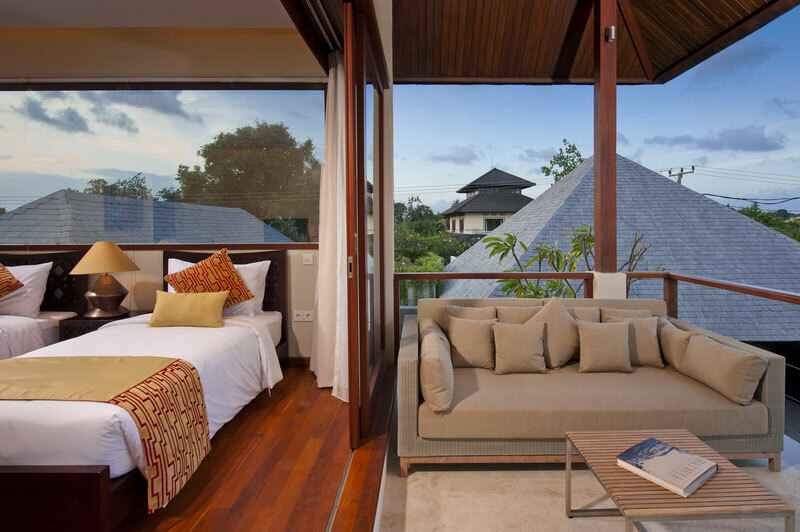 You will be able to choose between the elegant, quiet and peaceful beach of Batu Belig and the very popular and lively beach of Seminyak. 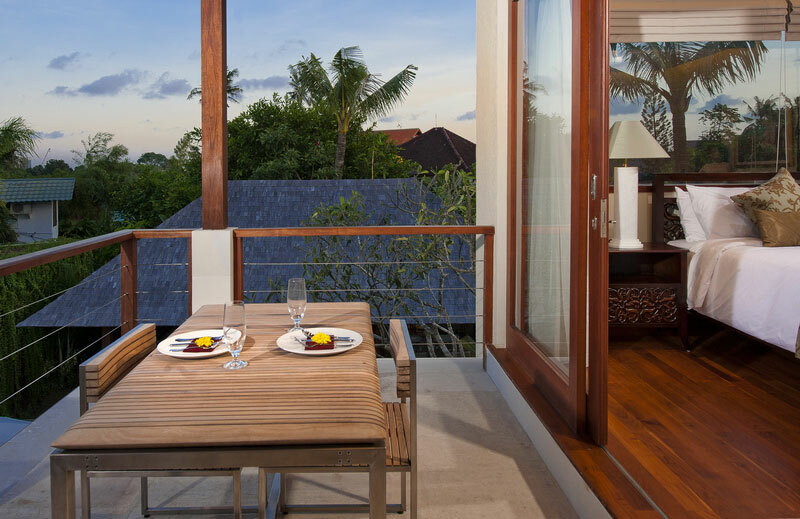 Along the coast, the waves are awesome and every evening you will enjoy the legendary sunsets of Bali which are known to be breathtaking. 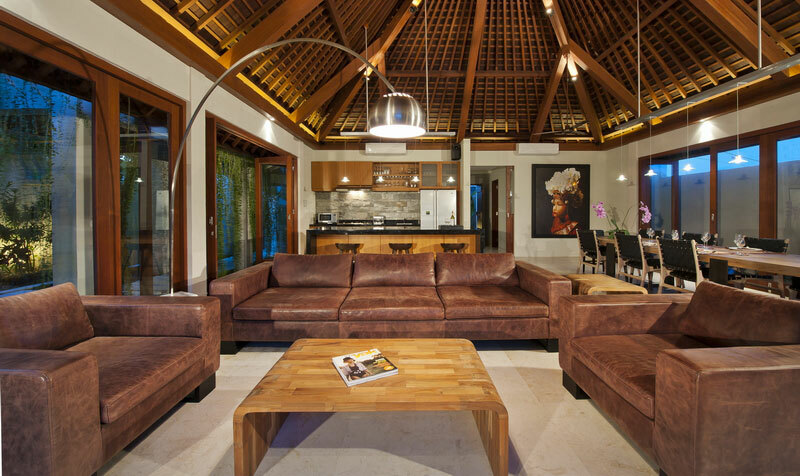 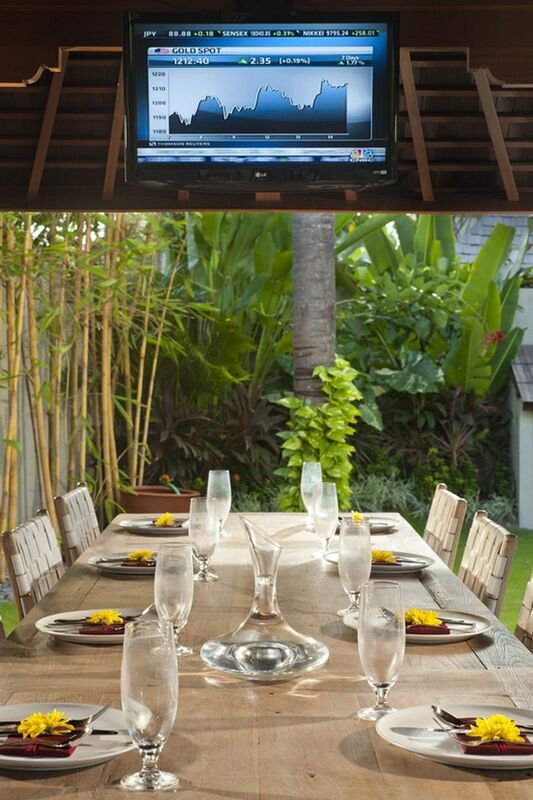 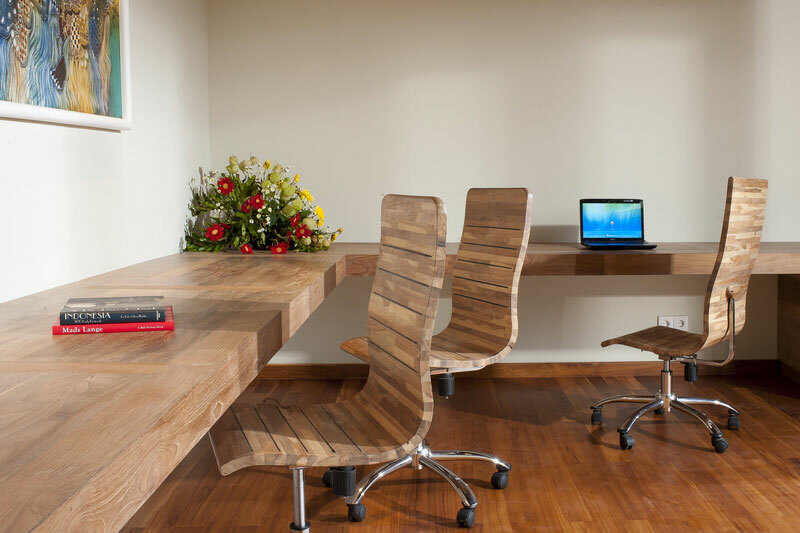 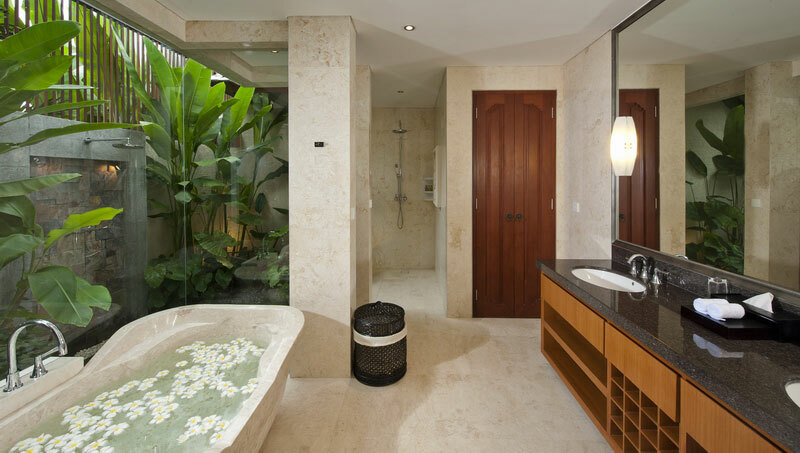 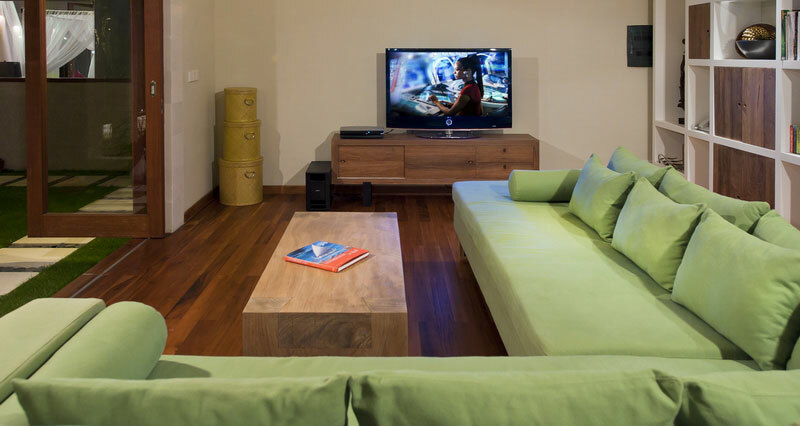 Villa Joss was designed and built with green technologies so as to protect the environment of this little paradise. 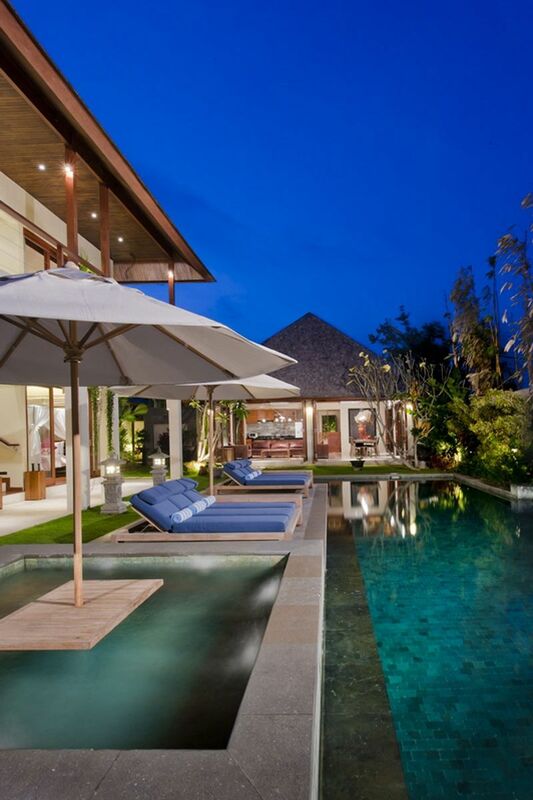 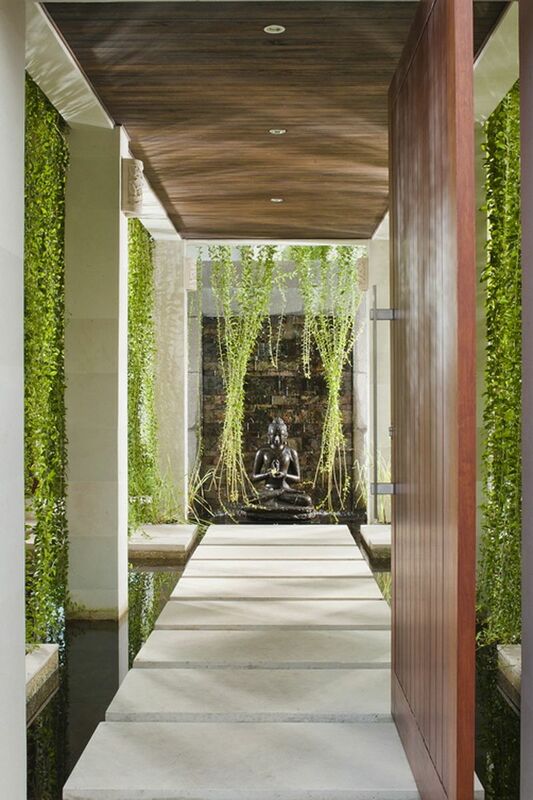 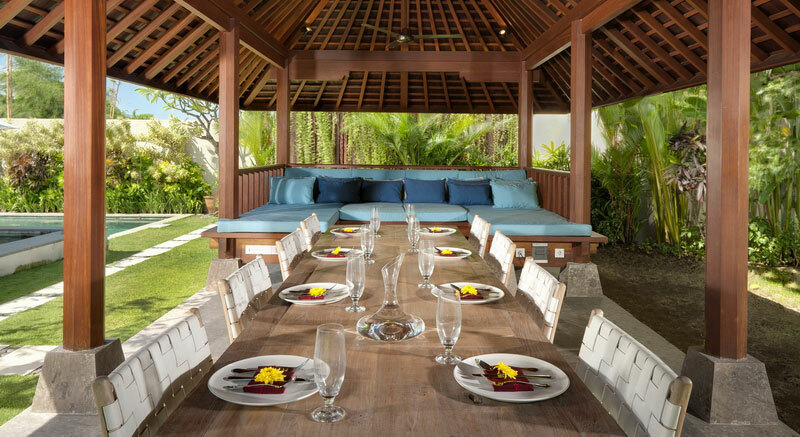 Completed in August 2010, the style of its Balinese architecture is contemporary. 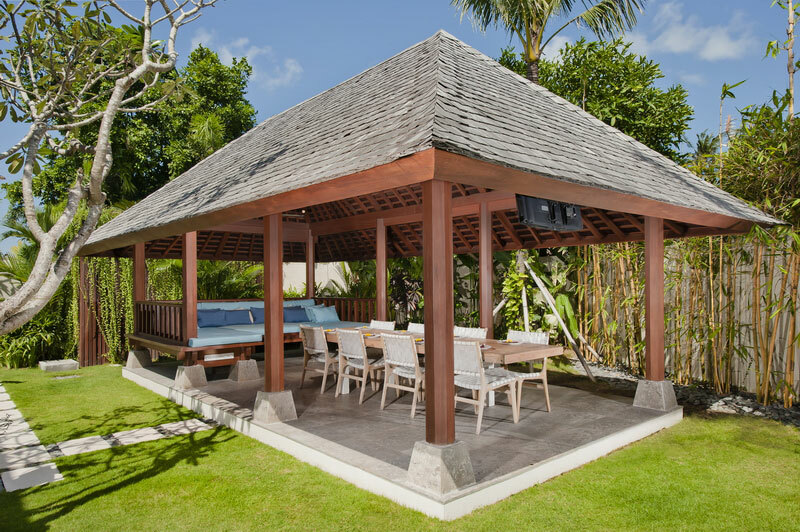 It is composed of a first pavilion with a living room and a dining room, a second pavilion with four bedrooms, an entertainment room and an office, and a final relaxing outdoor area, in the middle of the huge garden. 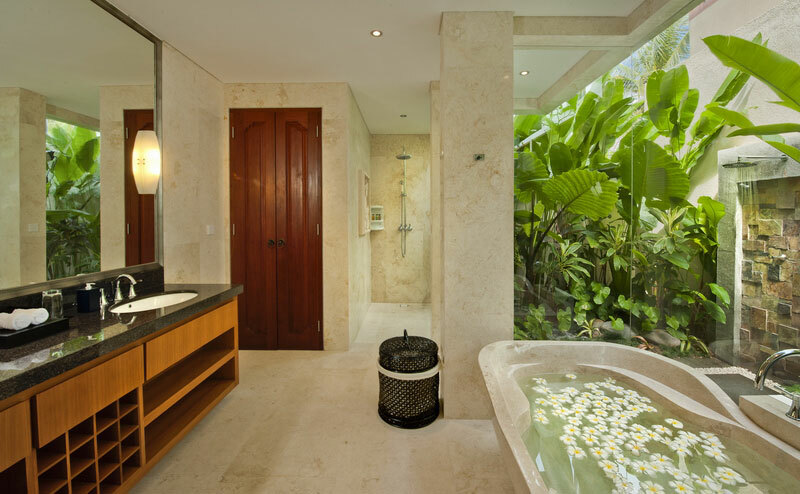 You will find a 16 meter swimming pool and an outdoor Jacuzzi as well. 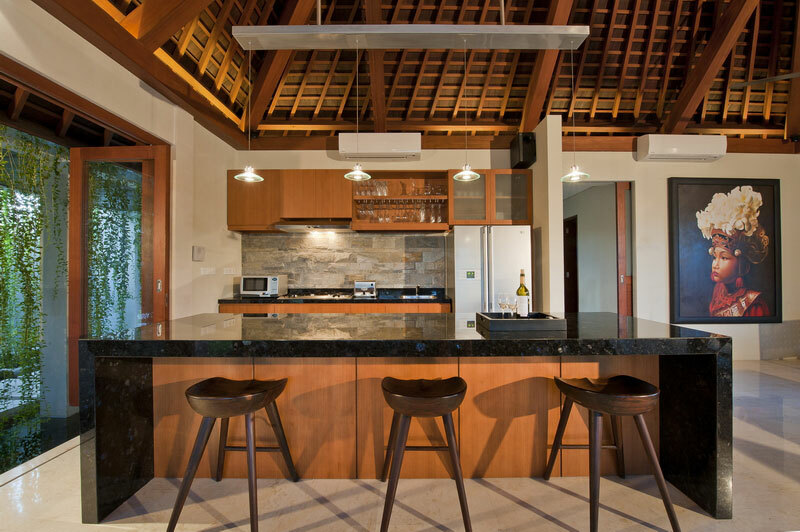 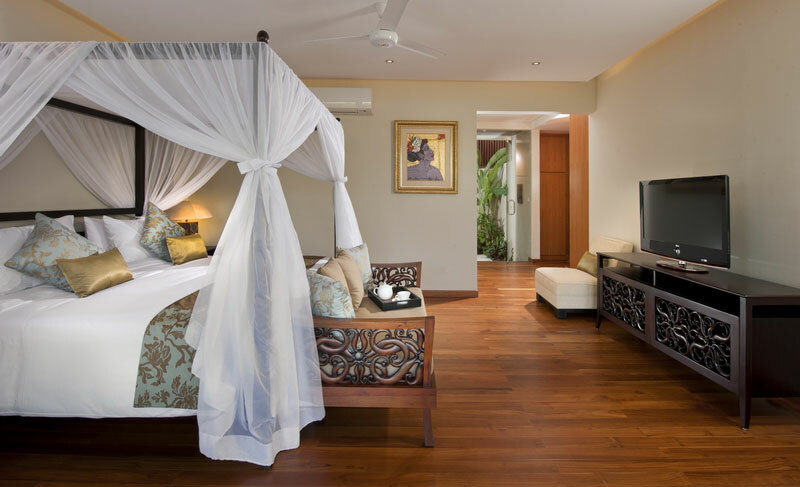 Villa Joss embodies perfectly all the comfort and glamor of modern life while preserving the Balinese atmosphere, exotic and tropical.